We’re now T minus 2 days away from The Big Day! We sure hope all of you have gotten your race day gears checked, done your last minute shopping for race nutrition and our fav: carbo-loading. While the Pacers are prepping themselves up to give their best, we speak to one of our RD crew behind the scenes. Mark is an unassuming guy working quietly behind all the hype, but mark our words, he plays a pivotal role in the well being of our SCSM Pacers. So, on your mark, to meet Mark. 1. Your Instagram handle is @adventuresofmygarminwatch. What is the story behind adventures with your Garmin? I began running with Garmin by chance. After almost a year of running with phone GPS and not being able to see my run statistics , I decided to get a GPS watch. And Garmin was recommended by many friends. 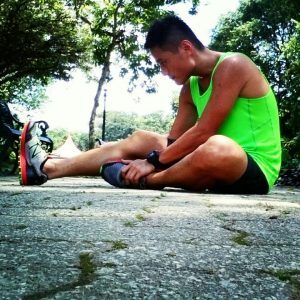 I named my IG “Adventures of my Garmin watch” because back then, I always ran alone and my watch was the only companion that witnessed all my runs. 2. Do you always train with your GPS? Or do you run by feel? I always run with GPS. But even on a rare occasion when I run by feel, I wear my Garmin. I’ll just simply not look at my watch, and only review the statistics after the run. 3. 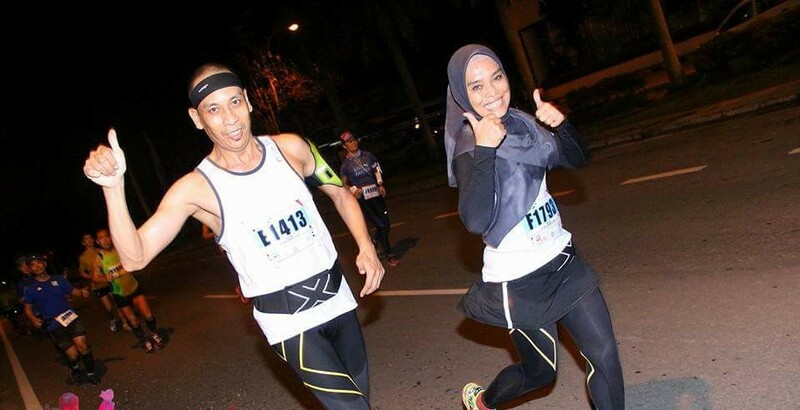 In your IG, we see that you take some really cool pictures of you while running, how do you manage that? 4. You have also been a pacer for Running Department recently? That’s right, I’ve only been pacing with RD recently. 2017 to be exact. SSBR/AHM was my first pacing project with RD, Good memories! 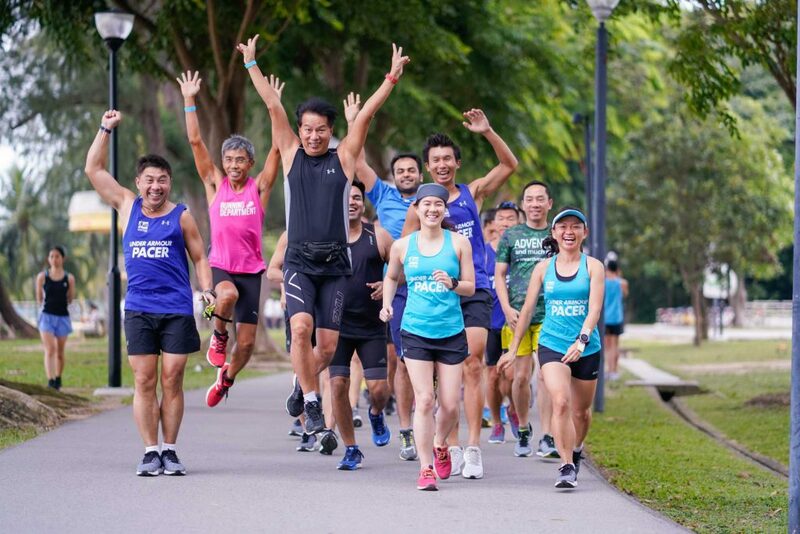 Mark was also a pacer for The Straits Times Run 2018. You can read about his pacer journey here. 5. This time round, you are not pacing SCSM 2018, tell us more about your role in this race of the year? I’ll be helping out in the pacer support station. 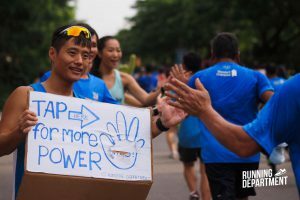 It’s where we bring food such as ‘sng bao ’ (flavoured iced popsicles), frozen fruits and candies for our pacers as well as public runners (lovingly made by fellow RD crew!). It’s a station our pacers eagerly look forward to. Mark is too kind, he didn’t even mention that he conducted the recce to identify suitable locations to set up the support stations. He will also be running between 2 support stations to distribute the food supplies, while watching the time (that pacers will likely pass the route). 6. Any advice for the first time marathoners doing the SCSM this Sunday? Hydrate well with isotonic drinks, use plain water to splash yourself. Don’t start too fast and try to keep to an even pace! Mark will be taking over the Running Department Instagram page on race day on Sunday, do keep a lookout. And to all the runners, you’ve got this! See you on the race day!